Online spending in South Africa is expected to reach R53bn by next year, from R37,1bn in the past 12 months, according to new research commissioned by PayPal and conducted by Ipsos. It’s the third time the companies have done the annual research, which focuses on cross-border e-commerce. It surveyed online domestic and cross-border shopping habits of more than 28 000 consumers in 32 countries, including South Africa. Online shopping has been slow to take off in South Africa, but in recent years has picked up steam, the researchers found. “The research indicated that 58% of online adults in South Africa shopped online over the past 12 months, amounting to an estimated total spend of R37,1bn,” the companies said. Respondents cited convenience of shopping online, planning to save more money and change in disposable income as reasons for the expected increase. When it comes to buying products online, the most popular online categories for South African consumers were downloadable digital entertainment and education items (purchased by 53% of online shoppers in the past 12 months), event tickets (47%), and clothing, apparel and footwear (45%). Cross-border online spending is common in South Africa, with 43% of South African online shoppers stating that they shopped online from websites in another country in the past 12 months. The main drivers encouraging South African online shoppers to buy cross-border online were free shipping (60% of online shoppers say this would make them more likely to shop from websites in another country), availability of local currency for payment (58%) and secure ways to pay (56%). An estimated 1,4m South Africans shopped internationally, spending an estimated R8,8bn. Cross-border shopping is estimated to grow by 38% in 2017 based on shoppers’ own predictions. Cross-border shoppers from South Africa are making purchases all over the world, with the US being the most popular destination (24% of online shoppers claim to have made a purchase from websites in America in the past 12 months) followed by China (13%) and the UK (12%). The research shows that South African cross-border shoppers who buy from the US did so instead of purchasing from local websites because of access to products that they can’t find here (selected by 71% of those who shop in the US). Other reasons cited for shopping on US websites included discovery of new and interesting products (59%) and the reputation of online stores in the US (59%). The top reason to buy from China was better prices (selected by 88% of those who shopped in China). 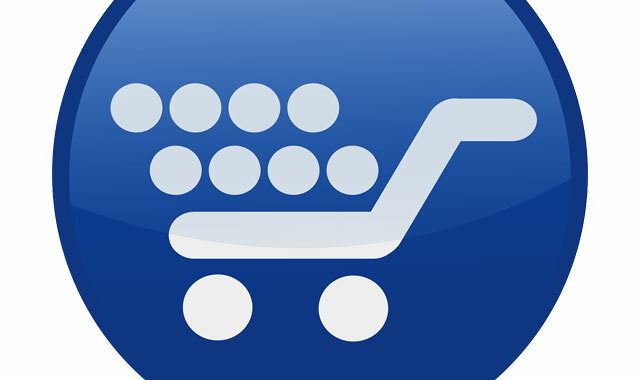 With high rates of mobile penetration in South Africa, online shoppers are increasingly opting to make purchases on their mobile devices, resulting in an estimated 65% growth in online spend via mobile devices (smartphone or tablet) between 2015 and 2016, to reach about R9,5bn, with momentum expected to continue. This provides an immense opportunity for online retailers, as mobile spend is projected to increase by 123% by 2018, PayPal and Ipsos said. In the past 12 months, 43% of cross-border shoppers stated that they shopped cross-border via smartphone, while 21% stated they used a tablet for their cross-border purchases. For cross-border shopping, 72% of online shoppers admitted to abandoning a cross-border purchase. The main reasons for this abandonment included high shipping costs (a reason for 55% of those who abandoned a purchase), uncertainty about duties/taxes/customs fees (33%) and long delivery times (32%). Our experience with online shopping with Woolworths has been nothing short of horrendous! From frozen goods that arrive in non insulated boxes resulting in liquid ice cream to unwanted substituted items resulting in a visit to the store – thereby defeating the whole point of the exercise. Also we have been battling for more than two months, with constant promises that “the matter is receiving attention”, to get a refund owed to us for goods not delivered. Their systems just don’t seem to be working. Another annoying thing we find is that the packers are obviously instructed to clear goods that are very close to their ‘sell by date’ and have often received goods due to expire the next day. Needless to say we no longer make use of this Woolworths, so called, service.